He explained that he had just received a building and pest report and the report suggested that there may be drainage issues at the property he is planning to buy in Gumdale.There are often many things needing to be considered when purchasing or selling a property. Sometimes it may even feel like an endless checklist, with each task creating numerous tasks in themselves. Conveniently, when it comes to checking for plumbing concerns, Ryan Old Plumbing can come to the aid of anyone with an interest in property. Below is an example of this. 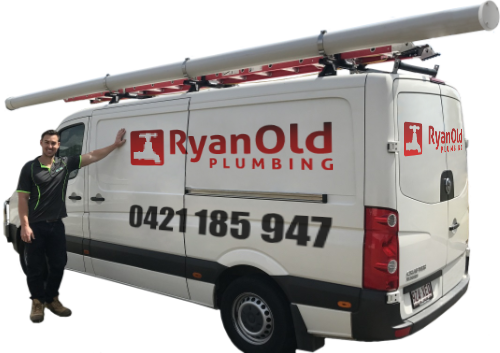 One morning, a customer telephoned Ryan Old Plumbing regarding a property that he was planning to purchase. He explained that he had just received a building and pest report and the report suggested that there may be drainage issues at the property he is planning to buy in Gumdale. This would then be connected to the existing storm water line in the ground at the back downpipe. An installation of 4 x 225 mm filed pits spaced evenly along the drain to reduce excess ground water. Further, to have 20mm gravel bedded round the drain in the ground, so that the moisture in the ground could be drained more easily. These drain and pits would be installed to the centre of the grassed area of the backyard, along the waterlogged side and also the back of the property. The customer informed us that he would discuss the work needing to be carried out with the realtor and would get back to us if they decided to purchase the property. After a few weeks, the customer contacted us to inform us he had decided to purchase the property, and would require us to carry out the work before moving in. We arranged for a date in which we could carry out the procedure, and the job was carried out. "Ryan and his team were amazing. They are good at what they do. I was updated all the way and I am very pleased to have chosen their company. Will definitely recommend Ryan to everyone I know."